We stock a tremendous selection of train sets. Shop now! Join our mailing list. What the heck are N, HO, O, G?? Get information on scales. Free Shipping Offers!! Click for details. Order any item in the Walthers' catalog. See what's just arrived! Train Sets Only is your source for all model railroad and wooden railway needs. From train sets for the beginner to sound-equipped locos for the serious hobbiest, we have it all. If you are new to the hobby, we welcome you and look forward to helping you get started. If you don't know where to start, visit our page on scales and check out our extensive selection of train sets and layout packages. If you are already into trains, we have what you need to expand your hobby. From track, scenery, and DCC to rolling stock and locomotives; Train Sets Only has it all. Can't find what you are looking for, just give us a call or order anything from the Walthers catalog. 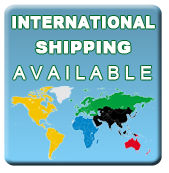 We gladly accept international orders and ship all around the world. Please click here for details. We hope you enjoy your shopping experience at Train Sets Only. 100% Customer Satisfaction is our Goal. Check-out what our customers have to say.